Whether you’re cleaning up your trees by cutting off excess limbs or chopping down the whole tree, sometimes an axe is just not enough to get the job done. Unless, of course, you don’t mind working for hours. Well, one of the easiest solutions—if you don’t want to deal a gas power tool—is to purchase an electric chainsaw. Not sure if this type of tool is right for you? Check out the following electric chainsaw reviews. They’ll help you find a chainsaw that’s perfect for your purposes and your budget. 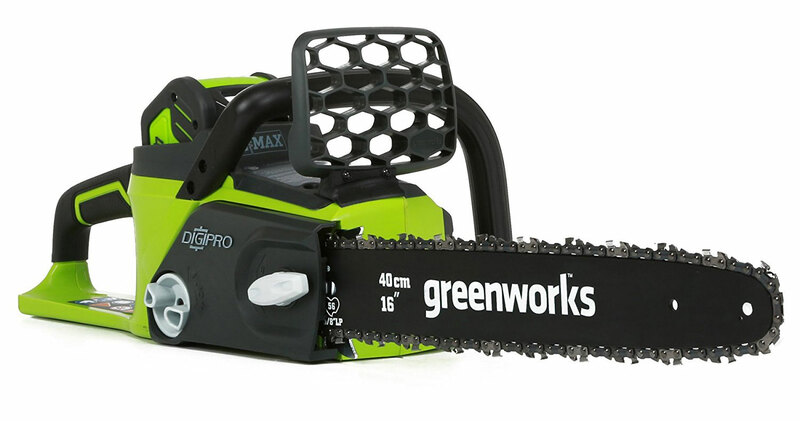 As the best selling product on Amazon, there’s a lot to love about this chainsaw. 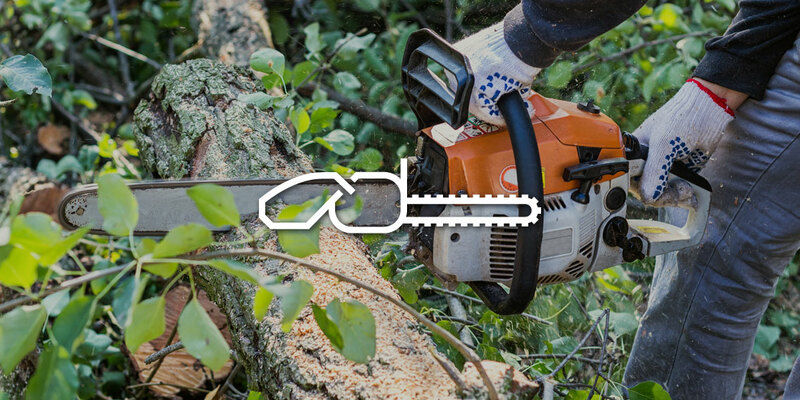 What’s especially amazing is it’s auto-tension chain that prevents you from over-tightening, which can be a problem when running your chainsaw at times. Additionally, it keeps you from having to readjust the tension on a continual basis, not needing adjustment for hundreds of uses. So you open up the box when your Remington RM1425 arrives, and there it is—ready to rock and roll. That’s right. This product requires absolutely no assembly, which is great if you really want a no fuss chainsaw. You’ll really love this tool if you do a lot of limbing, especially when it comes to small branches. This neat little machine features an oiling button that allows you to add oil to your bar in just seconds. GreenWorks is brand that’s known among chainsaw reviews for incorporating lithium batteries into the majority of their product line. This type of technology comes in really handy when your using your chainsaw, since a cord usually just ends up getting in the way. Worried that this just means you’ll only get half the work done before the charge runs out? This unit has the power to make 150 cuts before losing battery life. And it gets better, because this machine is 70 % less noisy than traditional chainsaws and it comes with a kickback and chain brake function—making it lightweight, easy on the ears, and user-friendly. Another battery-operated option is the Black+Decker LCS1020, perfect for getting a lot of work done around a bigger yard. The chain on this product is also especially remarkable, with ability to make clear cuts quickly and with ease. It’s made by one of the most trusted tool brands in America, so you really can’t go wrong. One of the perks of having an electric chainsaw is that they’re no hassle and lightweight. But what’s really set this unit apart are its automatic tensioner and chain brake. The chain break is an awesome safety that can literally save a limb, while the tensioner makes operating your saw less of a headache. You’ll never have to worry about manually adjusting the chain ever again. Another great perk is the automatic oiling feature that does the work of lubricating the bar and chain for you. If you’re in desperate need of a chainsaw that can run for long intervals of time, then this is definitely the machine for you. However, that battery capacity is also matched with impressive power that can take on heavy-duty jobs likes felling. It also comes with an auto-oiling system, which takes the extra work out of being a lumberjack. Even better, you don’t have to fuss with extra tools to tighten the chain, just adjust and be on your way! This is your go to machine for small tasks around the house. The homelite ZR43100 has a 9.0 Amp engine and can saw pretty nicely; it can work its way through a 4 inch branch with little trouble. However, the selling point of this machine is definitely the price, which is under $50. Keep in mind that for such a price you’re definitely not getting some miracle-working machine. But, if you’ve never owned a chainsaw before, this electric option is a great beginner’s tool. If you’ve never happened about the alligator lopper before, you initially might confuse it for a pair of giant pliers or garden clippers. And, if you know how to use it, it can act just like a huge garden clipper for trees up to four inches in diameter. According some chainsaw reviews, what’s really great about this particular chainsaw is that it’s enjoyable to use. You simply latch the jaws around the tree or limb your cutting, start the machine, and cut. It’s that simple. It’s relatively quite as well, and incredibly user-friendly. This is another innovative little machine that you can’t go wrong with. With a two in one design, you can both trim hard to reach branches using the ten-foot aluminum pole and then proceed to break them down with the chainsaw. What’s really neat about this machine is that it also cuts down the amount of kickback you have to deal with. Sun-Joe is recognized among many electric chainsaw reviews and even amazon reviews for it’s high quality products priced at a steal. And the Sun Joe SWJ800E Telescoping Electric Pole chainsaw is no different. As the best electric chainsaw on Amazon, this product has a lot to offer, including a pole that allows you to reach 15 feet overhead. This is an especially great tool to have around if you have taller trees in your yard, such as palms or oaks. If the Makita electric chainsaw looks like a unit designed with some serious cutting power to you, then you’re probably right. This is one of the more powerful battery chainsaws thanks to the incorporation of not one but two lithium batteries. 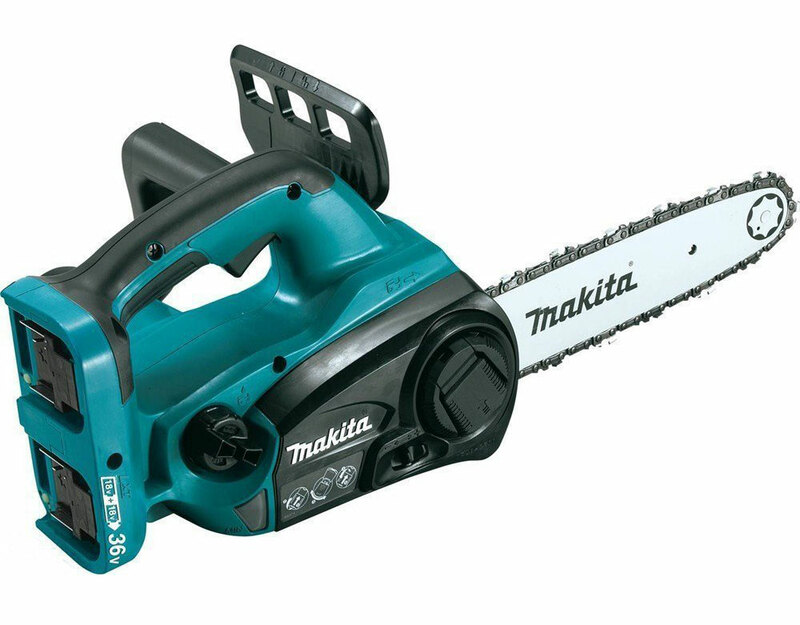 The Makita chainsaw is a powerhouse, with the ability to deliver chain speeds up to 1,650 FPM. It’s also relatively quiet and lightweight. When it comes to choosing a chainsaw you really want to keep the kinds of tasks you do on a regular basis in mind. For example, if you fell massive oak trees, you’re going to need a chainsaw that’s far more powerful than one you’d use for limbing or even wood chopping. Generally speaking, electric chainsaws are ideal smaller jobs around the house. They’re great at felling skinny trees, cutting branches, etc. Additionally, depending on where you live, you might be concerned about the noise level of your machine. The nice thing about electric chainsaws its that they’re usually very quite. Finally, you’ll want to think about the kind of saw you want. If you never have to remove branches above your head, then you probably don’t need a product with a pole. So really take your purposes into consideration. The best electric chainsaw will have a few key elements. 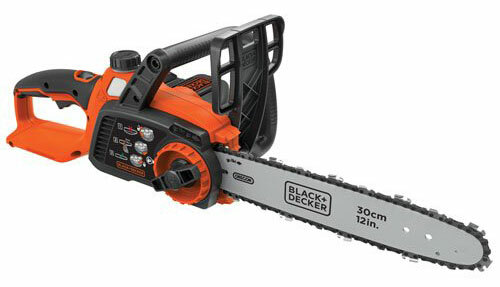 Firstly, you want a chainsaw that delivers a good combination of power and portability. Because most electric chainsaws are typically for small or medium jobs, the amount of power they deliver can be limited. So you want to make sure that you’re selecting a chainsaw that provides a solid output. You can usually gage just how powerful a product is by taking a look at torque specs and also how many cuts it can deliver (if it’s battery powered). Another thing you want to keep an eye out for are inexpensive battery-operated machines that don’t come with the battery. You can end up paying below $50 dollars for the actually machine, and still have to fork over $150 or more for a battery. So you want to make sure that your product comes with at least one. Also, make sure you check out some electric chainsaw reviews that discuss the battery’s quality and durability. You don’t want to buy a product only to replace that battery shortly after. · The Pole: One example of this kind of saw is the Sun Joe SWJ800E, which comes with both a pole for overhead reach and the saw. These are great for tackling those hard to reach areas. · The Lopper: These are especially safe saws for first time users because they have jaws that lach around the object. 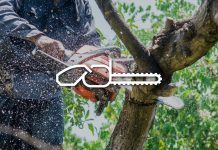 · The Regular Chain saw: These are the tools that you’re probably most familiar with. Unlike other kinds, the standard chainsaw is extremely powerful. If you’re a die-hard gas chainsaw user, you may be wondering why you should consider the switch. Gas, or petrol, chainsaws are extremely powerful, but they also come with a lot of drawbacks. Firstly, the fumes are not only bad for the environment but also bad for your health. Next, they’re just a hassle to deal with. Almost every time you use it, you’ll have to flush the oil and add new oil, which is just down right annoying and messy. However, as some electric chainsaw reviews are quick to point out, corded machines are problematic because they limit your mobility. If you’re not totally convinced that electric is for you, check out these echo chainsaw reviews. As you can probably glean from the names, there’s a BIG different between cordless and corded chainsaws. The best cordless electric chainsaws allow you more freedom to move around. That can be a big perk if you have a bigger yard or like to have more portability while working. There are some drawbacks though. 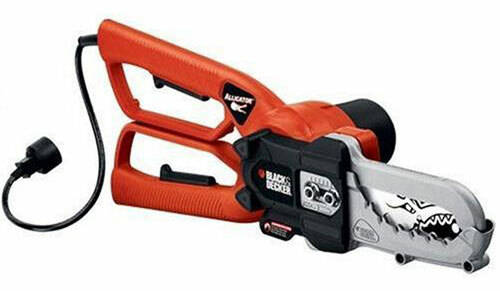 Cordless chainsaws typically don’t have the same range of power that corded products do. Additionally, they usually set you back more, both for the original machine and for any battery replacements. After you purchase your chainsaw and use it for a while, you might find yourself running into a big question mark: how do I sharpen the blade? Before you panic, you should know that sharpening the blade on your chainsaw is relatively simple. 1. Lock up the bar. The first thing you’ll need is a vice, which will hold the bar in place while you work. 2. Start with the teeth facing you. Make your life a little easier by filing the teeth that are pointed towards you. You can always turn the machine around after you’ve finished. 3. File the tooth. Using your chainsaw file, place it along the tooth and run it through the tooth. Make sure that you’re going at the same angle that the chain is facing. Count the number of passes and stick to the same number as you move on to other teeth. 4. Move the chain. Once your done, drag the chain until you find the next link facing in your direction. Repeat steps 2-3. As with any high powered and sharp machine, safety should always be your first concern. To start with, you need the right gear. Make sure you have safety chaps on (these stop the chain and protect your thigh if the machine slips), a helmet or goggles, ear protection (to both save your hearing and shield your ears from a flying piece of wood), and steel-toed boots. Next you want to make sure that the tension on your bar is set right; a loose chain can seriously injury you so you want to periodically check and readjust the tension. Also, you want to keep in mind that your chainsaw is meant for wood and only wood. Under no circumstances should you try to cut metal or electronics, since this can damage the machine and lead to serious injury. Finally, when operating, always make sure to keep both hands on the machine at all times. The most important thing that you should do when storing an electric chainsaw is to disconnect it first! This will prevent any possibility of serious injury if a child or pet comes along. Next, remove the chain from the bar and store in a safe place. You can then place your saw within your garage or basement on a high shelf or somewhere where children can’t get to it. In a nutshell, electric chainsaws can be a great investment for anyone that needs a sturdy but inexpensive chainsaw. Additionally, they’re extra safe, eco-friendly, and also very easy to operate. 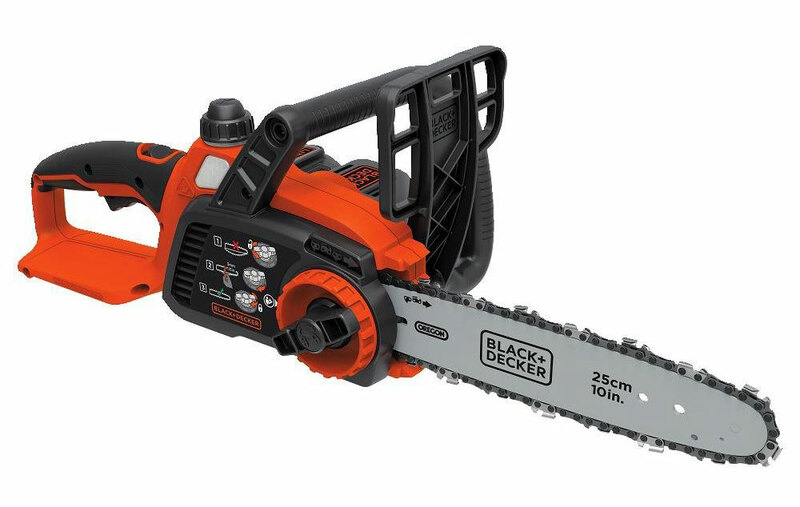 So if you’ve had enough of fumbling with gas chainsaws and just want to get your yard work done, you can’t go wrong with an electric chainsaw. You won’t have to worry about complex maintenance routines. So if you’re looking for peace of mind, wait no longer. Get an electric chainsaw and you’ll be a happy (and very modern) lumberjack for years to come.